Place on the Bay Hotel, situated along the beach-front road enjoys an undisturbed picturesque view of the white sandy beaches, the palm fringed bay and the majestic Twelve Apostle Mountains. 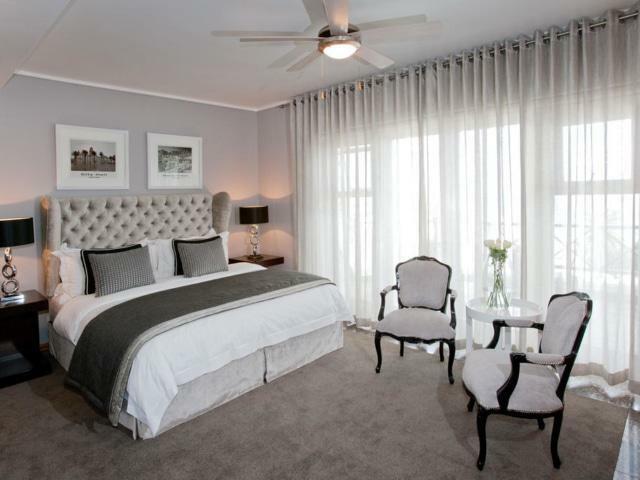 The hotel is perfectly positioned in Cape Town`s trendiest suburb, Camps Bay.Place on the Bay Hotel offers 21 serviced hotel apartments. All are elegantly furnished en suite rooms with a full kitchen or kitchenette, bouquet satellite television, air-conditioning and sleeper couches in most units. 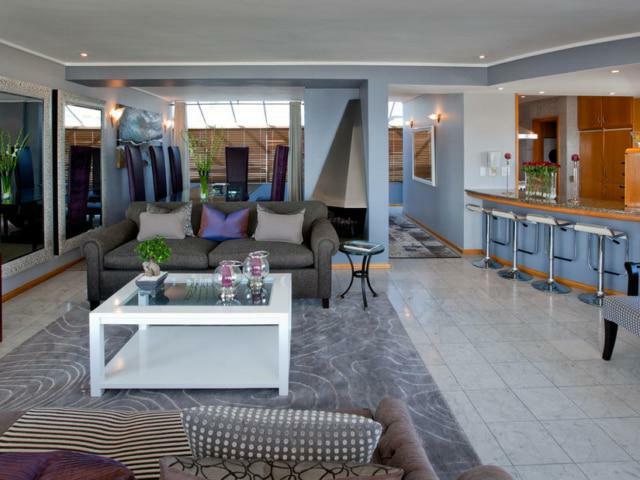 The luxurious and exclusive five-star penthouse with its private swimming pool and sundeck caters for all your personal needs, from delicious breakfasts to romantic nightcaps. 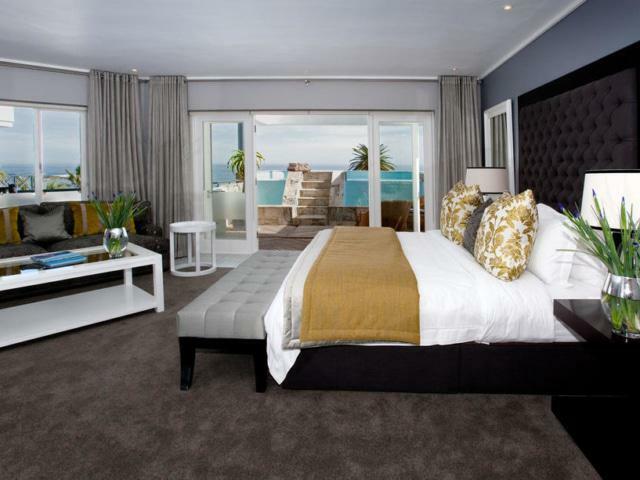 Two-Bedroom apartments are ideal for a group of friends or a family holiday. The apartment include a sleeper couch. Bedroom 1: 1 x King-Size extra length or 2 x Single extra length. 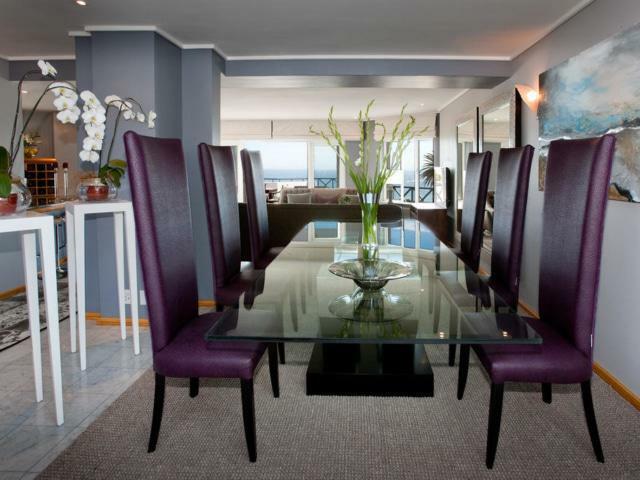 This Open-Plan Studio overlook the beach and have superb views of the white, sandy beaches of Camps Bay. Studio Apartments can sleep two adults or one adult and one child. Beds: 1 x Queen-Size extra length, 1 Sleeper couch. 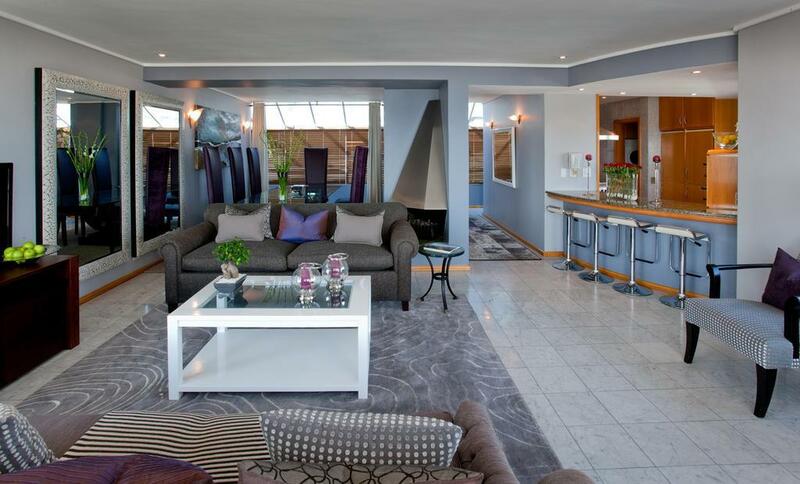 The Standard Two-Bedroom Apartments are ideal for a group of friends or a family holiday. Bedroom one: 1 x King-Size extra length or 2 x Single extra length. Bedroom 2: 2 x Single extra length. 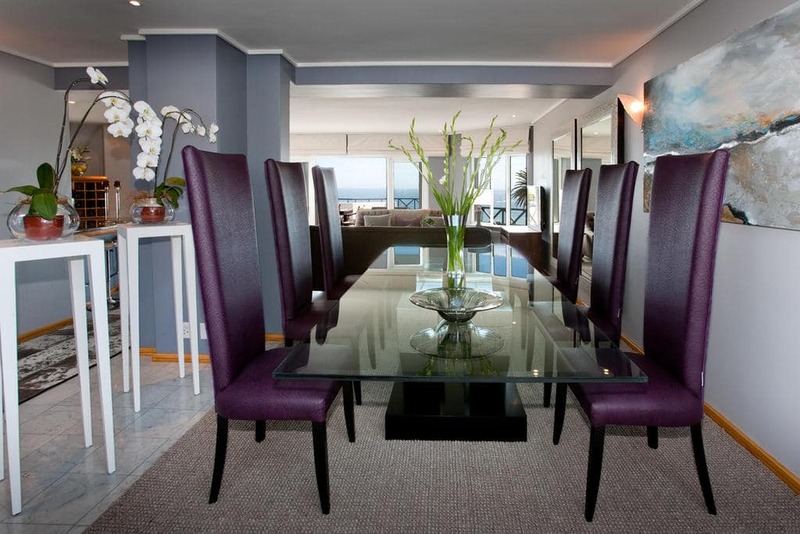 Seafront Studios overlook the beach and have superb views of the white, sandy beaches of Camps Bay. Studio apartments can sleep two adults or one adult and one child. This one-bedroom apartment is ideal for a romantic getaway or a peaceful retreat. 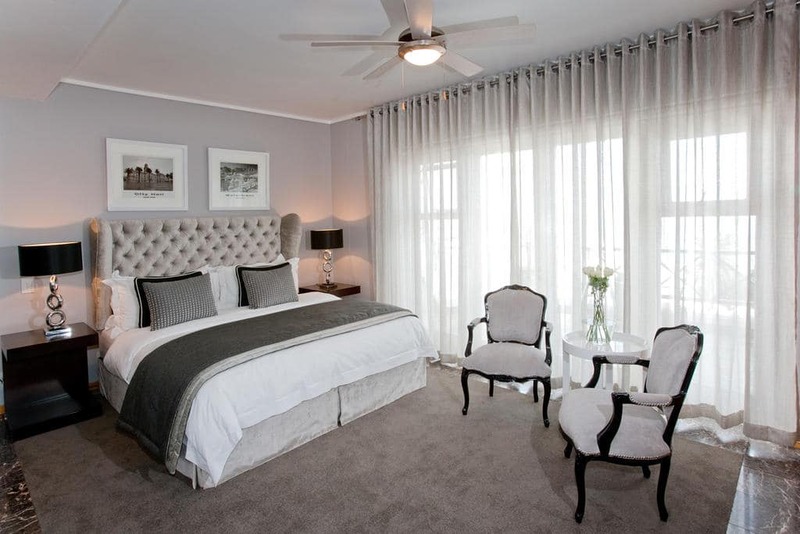 The Deluxe one-bedroom apartment has an outdoor heated jacuzzi. 1 x King-size extra length or 2 x single extra length. 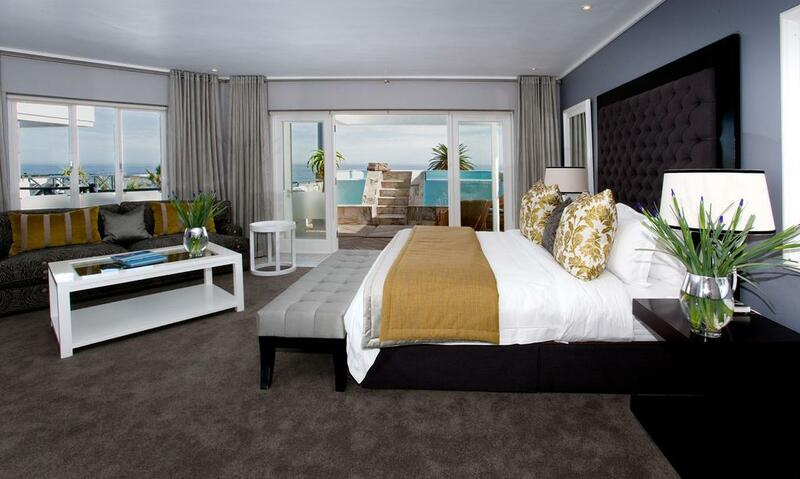 The penthouse has two luxurious en suite bedrooms, a spacious lounge area, dining room, patio and heated pool. Set in a comfortable environment, Nkorho Bush Lodge offers a true safari experience extraordinaire whereupon guests become one with nature….